Originally mentored by Godfather of House Frankie Knuckles, UK talent Silky is a vinyl loving DJ with rare old-school mixing techniques and deep crate selections that only serve to amplify his roots in early house and techno. 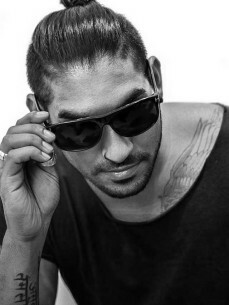 Already a prolific touring artist, Air London associate Silky has DJed all over the world in the last couple of years, from Hawaii to Hong Kong, with lauded gigs at places like Output in New York, Watergate in Berlin, Kee Club in Hong Kong, Spybar in Chicago, The Standard Rooftop in Los Angeles and Mexico’s BPM Festival in between. As a producer, the sound of Silky has proven to be innovative and captivating, deep underground music that is dark and emotive yet driving and uplifting. In the past he has notched up plenty of Beatport Chart hits thanks to his always-mesmerising releases on labels like My Favorite Robot, OFF, Suruba, Lucidflow and more. In fact, he has also collaborated with the My Favorite Robot production outfit to craft ‘SHOUT’, which proved another Beatport Top 20 hit for the young hit maker. Recently, Silky started his own label, Faceless, and so far the label has made impressive inroads with its early releases championed by the likes of industry heavyweights, Dixon, Ame, Mano Le Tough, Thugfucker, and more. His other most recent project, though, has been a new studio collaboration with Jonny Cruz under the disCerN alias. Already the duo have found favour with house heads everywhere thanks to their magical offerings on LA’s Culprit and NYC’s Touch of Class Records.